Orihuela Costa has 16 kilometres of coastline which varies from rugged coastline with crystal-clear water to fine white sandy beaches. These beaches are ideal for water-sports, fishing etc., or for just relaxing and enjoying the wonderful Orihuela Costa weather. 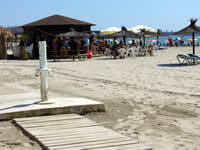 Orihuela Costa can boast some of the best beaches in Spain. Year after year Orihuela gets awarded with “Q for Quality” flags, which are internationally recognised as the highest award which can be given to beaches, meaning they have passed a multitude of tests and are among the best in the world. The first beaches to be awarded with these “Q” flags are Cala Capitan, Cala las Estacas and Playa de la Glea. 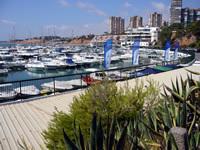 Orihuela Costa already holds four blue flags and eleven "Qualitur” flags, and is the resort to hold most flags in the whole of the Valencian Community. WHAT IS “Q” FOR QUALITY? The “Q” award is the seal of Spanish Tourism Quality. Tourist products with the “Q” mark meet necessary quality requirements and clients’ demands. The “Q” denotes prestige, reliability, commitment and distinction. Its objective is to achieve recognition by consumers and tour operators. Establishments eligible for the “Q” for Quality Tourism designation in Spain are: hotels, restaurants, travel agencies, campsites, nature areas, tourist offices, convention bureaux, conference centres, beaches, golf courses, rural accommodation, ski resorts, regional tourist boards and active tourism centres. 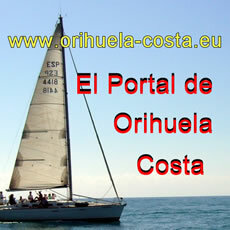 Here you can find some pictures of Orihuela Costa, nevertheless you need Flash to see the image presentation. This very attractive and popular beach is bordered on the north by the beach of Náufragos (Torrevieja) and on the south by Playa Flamenca. The narrow cove beach is a favourite of the regular holiday-makers and is divided into two levels with a length of 170 meters by 14 wide and it is accessed by ramps and stairs. It is planned to install a lift this year which will facilitate access for the elderly and physically handicapped to the beach area. This will not only provide a much needed service but will hopefully assist in the gaining of a first Blue Flag for the beach next year. This beach also boasts the full range of facilities that one would expect on an Orihuela Costa beach together with a bus stop and public telephone. This popular and award winning beach has a length of 150 meters with an average width of 16 meters and there are no obstacles in accessing it. This is an open beach of fine sand and it is extremely popular with bathers and sun-seekers alike. Bordered on the north by the beach at Punta Prima and south by La Zenia beach Playa Flamenca is one of the busiest beaches on the Orihuela Costa. This beach has again been awarded the prized Blue Flag, acknowledging the constant attention the beachand its facilities receive from the town hall. The beautiful beach at Cabo Roig is bordered on the north side by the beach of La Zenia and on the south by the beach of Dehesa de Campoamor. The beach is 420 metres long by 18 metres wide and is cove shaped and it is accessed by newly refurbished ramps and stairs. 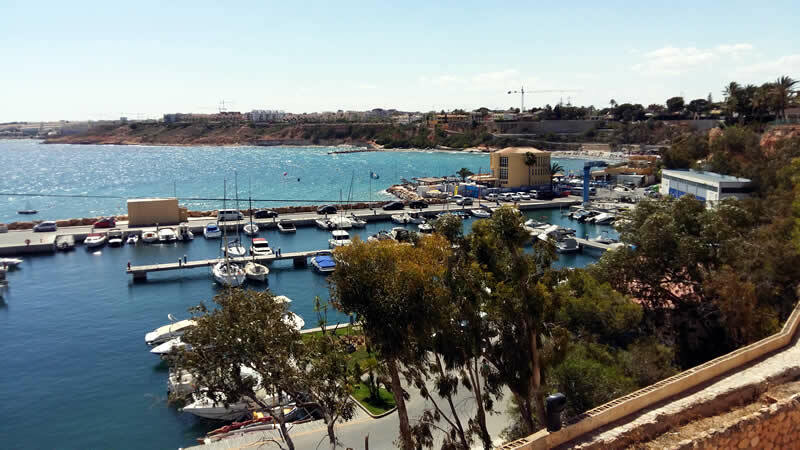 The beach was awarded the coveted Blue Flag again this year as was the nearby marina. The beach has much to offer from excellent quality water and sand to an ideal environment for those wishing to participate in a wide range of water sports such as sailing, windsurfing, skiing etc. There are parking facilities, a public telephone, special access for handicapped people, a bus stop, toilets and foot-washing facilities, a life-guard tower and a Red Cross station. There are numerous fine restaurants in the surrounding area offering a wide variety of good food. The Urbanisation Dehesa de Campoamor is a green oasis on the Mediterranean coast. The beaches in Campoamor are also very attractive and popular particularly during the summer time with Spanish tourists - mostly from Murcia, Alicante and Madrid, and also with tourists from the rest of Europe, particularly from Germany and Great Britain. 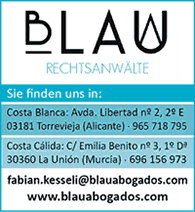 This natural beach is located close to the Campoamor beach and it has repeatedly been awarded Blue Flag status. This open beach boasts fine white sand and is 346 meters long by 45 wide. There are parking facilities, special access for handicapped people, toilets and foot-washing facilities, a life-guard tower and a Red Cross station.